Exciting times here at Shuttle Delivery! We had many new partner restaurants join our Shuttle Delivery roster during the month of December 2017. We are very excited to have all of them on board and we would like to introduce them to you. 1. Lagrillia restaurant ( Itaewon Location) See Menu and order! 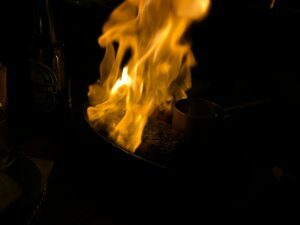 LAGRILLIA is an Italian casual restaurant where you can enjoy a delicious authentic Italian cuisine with a twist of flare. 라그릴리아는 정통 이탈리안 요리를 새롭게 해석한 맛잇는 요리와 소물리에가 엄선한 와인, 다양한 맥주를 함께 즐길 수 있는 이탈리안 캐주얼 레스토랑입니다. Delivery fee starts at 500 won only! 2. The Grid ( Hongdae/ Shinchon Location) See Menu and Order! 안녕하세요 이탈리안 no.1 레스토랑 더그리드 입니다 저희 더그리드는 이탈리아 직수입 100% 크림만을 사용하며 매장에서 판매하는 양 그대로 변함없이 고객님들 안방까지 전해드리고 있습니다. 매일 신선한 재료를 공급하여 깨끗하고 건강한 먹거리를 만들어내며 저렴한 가격대를 형성해 부담없이 즐기실 수 있습니다 디너 15,000원 이상 주문시 그리드브레드, 에이드 1종 무료증정! 3. 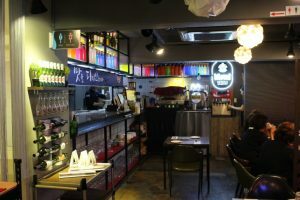 Thai Square (Hongdae/Hapjung station location) See Menu and Order! Don’t put Thai Square in a box! 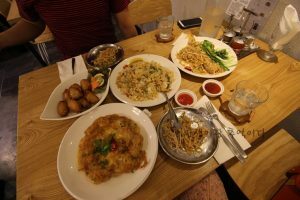 This restaurant makes traditional Thai food that will have you reminisce and feel nostalgic about that time when you vacationed in Thailand. The salads, noodles, rice, curries, and soups are made with spices and seasonings that lets the food shine. The “sets for 2” are a great deal for a night in with friends, date night, or a dinner with leftovers. This menu even has Morning Glory which is good any time of day. 태국 전통맛을 기본으로하고요 퓨전아닌 전통맛을 그대로 음식에 표현합니다. 4. Handinhand Burger (Hongdae/Sinchon Location) See Menu and Order! Hands down HandinHand Burger has the best classic handmade burger in Hongdae. They were featured on ‘CNN go’ in Hongdae! 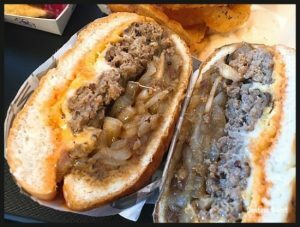 They are the oldest handmade burger joint in the hood, they focus on the fundamentals that take burgers from basic to best. Homemade onion rings and beef patties keeps all the boys and girls coming back for more. Shuttle will get that HandinHand Burger in your hands. NO FUSS! NO FUSION! JUST GOODASS BURGERS! 홍대에서 유일하게 ‘CNN go’ 에 소개된 클래식한 수제버거 브랜드. 퓨전보다는 기본에 집중하며 가장 오래도록 홍대를 지키고 있다. 직접 만드는 어니언링과 소고기 패티, 소스는 한 번 경험한 이들을 단골고객으로 만들게 하는 must eat items! 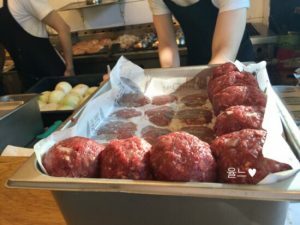 한국 분들을 비롯해 외국인 손님들 또한 꾸준하게 찾아주시는 이유, 셔틀에서도 경험해보시길 바란다. NO FUSION, KEEP IT REAL! 5. 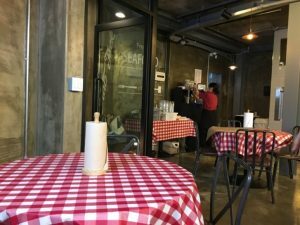 Always Tart (Hongdae/Sinchon Location) See Menu and Order! 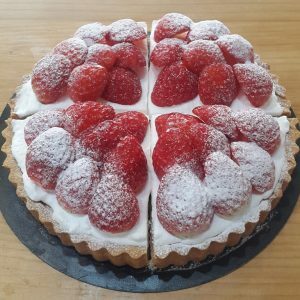 It’s always smart to have Always Tart! The panache of Granach, the fineness of the fermented Fig, and the chase your blues away Blueberry are just a handful of the tarts that can make breakfast beautiful or dessert divine. All the pies are handmade from scratch starting with the pie shell (bottom crust) that is mixed with almond powder for a savory nutty flavor. The pies are 20 cm in diameter and can be purchased in 1/4 sizes. 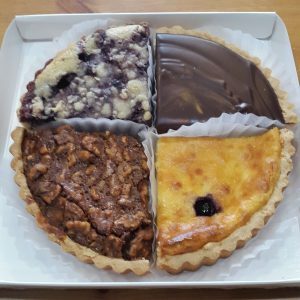 If you purchase a 4-piece set (1 whole pie), it can be packed into a gift box with candles and pretty memo card with a personal message. 파이지엔 아몬드가루가 들어가 파이쉘까지 고소하며 모두 수작업으로 매장에서 직접 만듭니다 1판 지름 20cm 를 4분의 1조각으로 구매가능하시며 동일 메뉴1판 또는 원하시는 메뉴 4조각 (믹스)하셔서 1판 홀로 선택하시면 타르트 전용 박스에 담아드려 생일선물이나 선물용으로 기프트박스에 포장해 드립니다. 예쁜 메모 카드에 간단한 인사말이나 축하 메세지도 써 드리고, 촛불도 포함해 드려요! 코멘트에 촛불의 개수, 남기실 메세지를 써 주세요. 6. 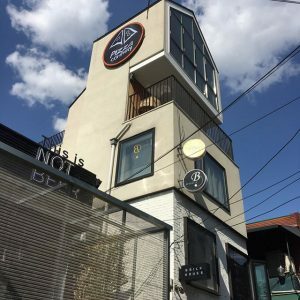 Soul Mucho (Hongdae Location) See Menu and Order! 모든 샐러드에는 야채믹스(양상추, 케일, 로메인 등), 오이, 당근, 올리브, 옥수수, 병아리콩, 메추리알, 방울토마토, 견과류(해바라기, 아몬드, 호두), 체다치즈가 들어갑니다. 모든 샐러드에는 샐러드를 넣어 Wrap해 드실 수 있도록 1/4 사이즈의 ‘통밀또띠아’가 제공됩니다. 7. Si Nar ( Hongdae/Sinchon location) See Menu and Order! “Si” means “yes” in Spanish and you should say yes to Si-Nar! Si-Nar satisfies your desire for healthy salads, spicy Mexican dishes, and savory Spanish cuisine. Tacos, burritos, fajitas, and quesadillas filled with fresh vegetables, cheese, homemade sauces and salsa are wrapped tightly in tortillas. 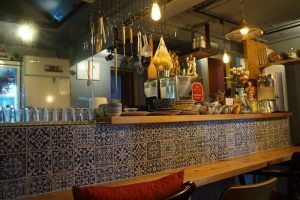 The Spanish cuisines are sophisticated and authentic with inspiration. Si-Nar is sabroso and saleroso! 이국적인 스페인요리와 멕시코 요리를 맛 볼 수 있는 레스토랑입니다. 매일 셰프가 선정한 신선한 재료들로 건강하고 맛있는 음식을 만들어 드립니다. 한국인의 넉넉한 인심과 정성을 담은 요리를 제공해 드리며 푸짐한 양과 맛 모두 놓치지 않는 시내입니다. 8. Brooklyn Bagel Cafe (Haebangchon) See Menu and Order! Health. Value. Reliability. Welcome to the WORLD’S LARGEST WHOLESALE BAKER OF BOILED, FRESH FROZEN BAGELS. Brooklyn Bakery has provided decades of dependable service to many of New York’s oldest and most reliable distributors, including the finest and best known cafes, restaurants and supermarkets. Their bakery products are fresh frozen, and use only the finest ingredients with no preservatives. Brooklyn Bakery offers competitive pricing and the most reliable delivery. 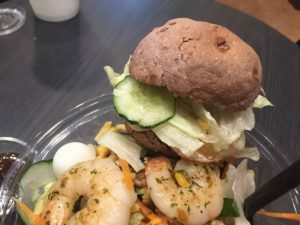 Brooklyn Food Group 은 뉴욕 브루클린에 위치한 공장에서 정통 뉴욕 스타일 워터 베이글을 생산하여 뉴욕에 있는 수 많은 레스토랑과 베이커리에 판매하고 있는 회사입니다. 브루클린 베이글은 천연재료를 사용하여 베이글을 만들고 1930년부터 90년간 3대로 내려져 왔으며 현재는 공장에서 하루 최대 10만개씩 생산되고 있습니다. 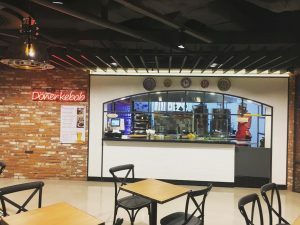 BFG Bagels 의 재료 중 가장 중요한 요소인 베이글의 반죽은 뉴욕 허드슨 강물로 만들어진 식수를 사용하며 반죽을 발효하고 삶아서 굽는 과정으로 이루어져 있으며 이 과정을 통해 미국 최고의 베이글로 만들어집니다. “ NO Chemical, Natural Ingredien ts” 를 기본으로 만드는 BFG Bagels는 생산 후 급속 냉동하여 신선도를 유지하는 방법으로 정통 뉴욕 베이글의 참맛을 전세계의 소비자들에게 전달하고 있습니다. 베이글의 생산 과정은 유튜브에서 “Brooklyn Food Group Bagels” 키워드로 확인할 수 있습니다. 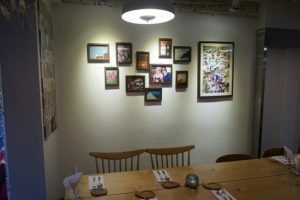 Brooklyn Food Group은 뉴욕의 최고의 베이커리 중에서도 가장 유명하고 경쟁이 치열한 뉴욕 브루클린에서 200개 이상의 이탈리안 레스토랑과 베이커리에서 베이글을 판매한 노하우로 한국 소비자들에게 맞는 베이글을 제공 할 수 있을 것으로 확신합니다. 9. Crabjack (Hongdae/Sinchon) See Menu and Order! You do not need to travel abroad to enjoy this taste! 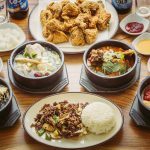 Now in the heart of Seoul, you can experience the good ole fashion dishes that are offered in the States. Crabjack brought not just the taste but also the entire atmosphere of the West Coast. 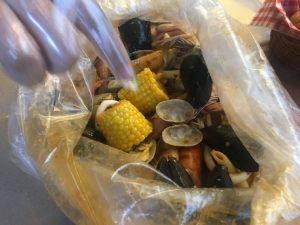 If you are new to Crabjack, the experience will be intense, and if you are already familiar with the taste in America, then it will bring back fond memories of familiar taste and atmosphere. 이 맛을 즐기기 위해 해외로 나간다구요? 이제는 서울 한복판에서 미국에서 맛보았던, 다소 거칠고 투박하지만 정감있던 씨푸드 요리를 만나보아요! 맛 뿐만 아니라 미서부 분위기 까지도 그데로 옮겨온 크랩잭!! 처음 온 분들에겐 참심함을, 이전에 미국 봍토의 맛을 보았던 분들께는 친숙함과 함께 아련한 추억을 선사합니다! 10. Doner Kebab (Hannam Dong Location) See Menu and Order! 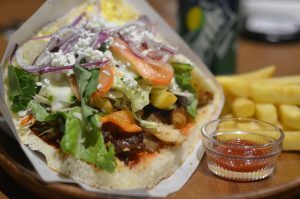 A steady seller of German street food, Doner Kebab! This exceptional European style kebab is made with everyday-prepped vegetables and abundant meat. Wanna try some kebab like no other? Have this healthy food delivered right to your door! 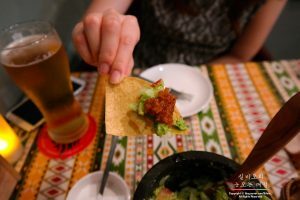 독일 스트리트 푸드의 스테디셀러 도너케밥! 매일 손질한 신선한 야채와 푸짐한 고기, 유럽인들에게 사랑을 듬뿍 받는 현지 스타일의 트레디셔널 케밥. 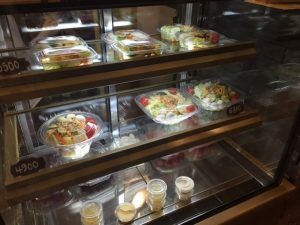 건강과 맛을 중요하게 생각하는 현대인들에게 걸맞는 Healthy Food! 한 끼 식사로도 충분합니다! 11. Luigi’s Pizza (Hannam Dong Location) See Menu and Order! 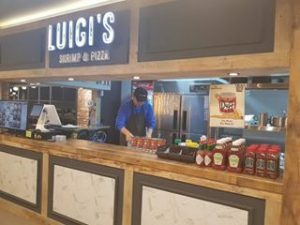 A restaurant with a concept motivated by Luigi’s Pizza from ‘The Simpsons’. 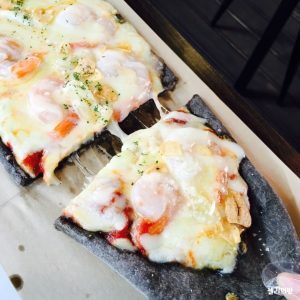 The standard of American Pizza using fresh dough, and delicious shrimp. Great beers also available! 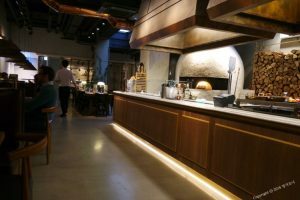 미국피자의 정석 심슨에 나오는 Luigi’s 피자집을 모티브로 만든 Daily Restaurant! 신선한 재료와 생도우로 직접 만든 미국피자와 맥주를 맛볼 수 있는 곳. 12. Cultwo Chicken ( Hongdae/ Sinchon Location) See Menu and Order! Cultwo Chicken has had a cult following for a long clucking time. Treat your mouth to a treasure trove of chicken tenders, wings, and drumsticks. 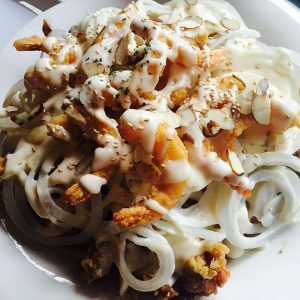 Onion Cream Shrimp Chicken, Boneless Carbonara Chicken, and the Osaka Chicken Yaki are just a few examples of Cultwo’s revolutionary approach to fried chicken. Before you grab some flavorless food for dinner, take two and get Shuttle to bring Cultwo to you. 국내 어떤 치킨보다 안심하고 먹을 수 있는 명품 수제치킨! 13. 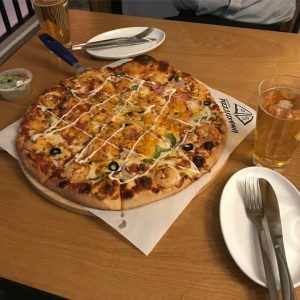 Pizza Company (Itaewon Location) See Menu and Order! 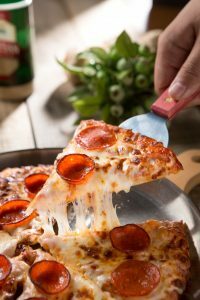 Pizzas are made with 100% natural cheese and top quality ingredients! They are always trying to be the best, putting their entire effort into their food while hopefully bringing happiness to you as well. Pizza Company thinks of their customers as part of their family; so they provide service with all of their hearts. 100%자연산 치즈와 최상급 재료로 만든 피자! 피자컴퍼니는 고객에게 맛과 정직함을 제공하는 피자 전문 브랜드 피자컴퍼니입니다. 항상 최고가 되기 위해 열과 성을 다하고 행복과 기쁨을 함께 드리려고 노력하는 곳! 고객을 생각하는 마음과 가족 같은 마음으로 정성껏 준비하고 친절로서 맞이하고 있습니다. 깨끗한 실내 공간과 아늑하고 편리한 시설로 오시는 분의 편안한 안식처가 되겠습니다. 항상 친절한 미소와 최상의 서비스로 여러분을 모시겠습니다.